Biohazard Cleaners in Nottingham, UK, Active Extreme Cleaning, are a highly specialised and professionally established extreme cleaning and clinical waste disposal company, providing commercial property clearance services such as factory clearances and office clearances. 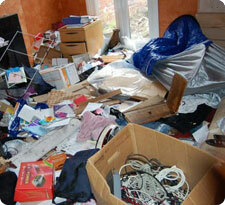 We also undertake house clearances, including end of tenancy cleaning and void property clearance services. Our services are carried out throughout the whole of the Midlands and central England. As a specialist cleaning company, our extreme cleaning services include the removal and disposal of biohazardous materials for property owners, landlords, housing associations, commercial premises, councils, businesses and police departments. 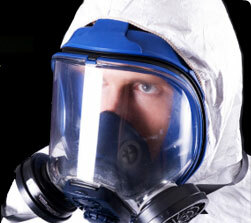 We also undertake specialist cleaning services such as crime scene cleaning and trauma scene clearances. If you require specialised biohazard cleaners in Nottingham or elsewhere in the UK offering clinical waste disposal and professional cleaning services then Active Extreme Cleaning can help. We provide property clearance services for households, factories, warehouses, offices, schools and retail premises. Biohazard Cleaners Active Extreme Cleaning's professional cleaning and clincial waste disposal services, including: commercial clearances, factory cleaning, office clearances, empty house clearances, end of tenancy cleaning, void property clearances, trauma scene cleaning and crime scene cleaning services are carried out by a registered waste carrier. We handle and dispose of all hazardous wastes correctly, ensuring that you can return to the non-contaminated area as soon as possible. To view a list of towns and city's where Active Extreme Cleaning operate please see the areas we cover.